Why should I? Why should I help out my neighbour when he never helps me? What if Jesus had thought that way? Jesus Christ didn't just die for our sins, He lived in a world full of sinners, loving and serving them every minute that He had. Posted in Christian Living | Wednesday, 28 March 2018. What if I'm not good enough? Many of us find ourselves asking that question often in some form – maybe even daily – perhaps even moment by moment. We can discover from the Bible that God's measure of success is very different from what we naturally expect of ourselves. Posted in Christian Living | Friday, 01 September 2017. Professed belief in the name of Jesus is what most Christians do, but repentance and turning to God through Jesus Christ results in a complete change. Posted in Christian Living | Saturday, 22 July 2017. If we are involved with children either as a parent, friend or relative, we may wonder how to teach children to love Scripture – the Holy Bible. Kim gives some practical ways to teach our children about God and His way of love through His Word. Posted in Christian Living | Saturday, 25 March 2017. What’s your ‘church’ experience? What’s your image of ‘church’? Is it a place or a group of warm and loving people – a family? Love was found in the early testament church. How about in modern Church’s of God? Posted in Christian Living | Saturday, 18 February 2017. Have you ever when encountered with a difficulty of life asked yourself “why me?” or “why is this happening?” Has your resilience been really tested with obstacles or trials you have faced or maybe are currently facing? Resilience is an important quality for a Christian to possess. Posted in Christian Living | Friday, 02 September 2016. If Jesus Christ was attending church would that motivate you to attend too? What did Jesus Christ, our Lord and Saviour have to say about going to church? “...I will build my church” (Matthew 16:8) What are the benefits of going to church? Posted in Christian Living | Friday, 19 August 2016. Fixed or growth - what's your mindset? The two great mindsets of people -- the fixed mindset and the growth mindset. The beginning of real learning for all of us is when we come to the point where we realize we are not everything we think we are. This is called “repentance.” Do you have a fixed or a growth mindset in your walk with God? Posted in Christian Living | Saturday, 18 June 2016. Do you know that you didn’t choose God but He chose you? To be chosen by God, is to be invited into His purpose, His care, His assurances - the past is forgiven and you are more than chosen, you are valued and respected as a child of God. Once we realize this magnificent truth then we also need to consider it in light of the meaning of the Passover. Posted in Christian Living | Saturday, 16 April 2016. You are the underdog. And you will always be the underdog in this life and in this age! Does this surprise you? Maybe we think we shouldn’t have to be the weak of this world. This is the natural condition of God’s people while we live in this world. 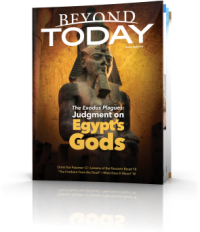 Posted in Christian Living | Tuesday, 20 October 2015. Some say that attitude is everything, and there is some truth in it. Do you know that the word ‘attitude’ can’t be found in the Bible, but so much of the Bible is exactly about this concept – a person’s frame of mind. Let’s see what was (is) Jesus Christ’s frame of mind – His attitude - as an example for us imitate. Posted in Christian Living | Friday, 11 September 2015. In the opening chapters of the Bible it becomes apparent there are two ways of life – the "give" way and the "get" way. This powerful theme is followed through in the rest of the Bible -- in the Words of God, in the words and examples of His servants. How do we see these two ways of life in today's world? Posted in Christian Living | Friday, 12 June 2015. We are inclined to feel like we deserve something just because we want it. Our society is pervaded by a sense of individual entitlement. Is our contentment affected by what we think we are entitled? Posted in Christian Living | Sunday, 12 April 2015. How does the Feast of Unleavened Bread provide us with a most amazing object lesson, showing our journey into the very family of our Creator and God? Posted in Christian Living | Thursday, 09 April 2015. The most recent federal budget has been one of the most controversial budgets ever handed down by an Australian government. The financial reality, on either a personal or government level, is that debt-free or low debts are the best scenarios. In the Bible we read: "The rich rules over the poor, and the borrower is servant to the lender". We know all too well the pain and problems of debt. What do you think about the recent federal budget? What would God think about it? What does God think about debt? God called us to be in His Church, which is His Body. What a wonderful and safe place to reside! The Church's environment must be healthy also to allow Jesus Christ to nourish and cherish God's children within His Body. It is an interesting analogy, don't you think? 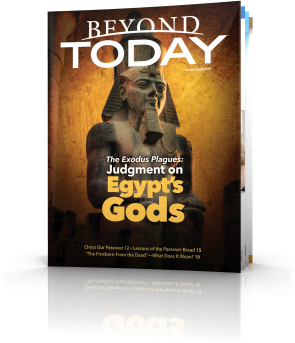 Posted in Christian Living | Friday, 09 May 2014. Is it just a matter of saying 'sorry'? What is the best way to give an apology? Christ gave us a depth of divine instruction during His Sermon on the Mount. Much of His teachings centered around getting our relationship right with God, and with others. Posted in Christian Living | Friday, 28 February 2014.